Botswana’s mining industry is set to benefit from the continuing uncertainty around the Mining Charter in South Africa, local asset management firm Kgori Capital said. Tshegofatso Tlhong, Portfolio Manager at Kgori Capital said South Africa’s Mining Charter is curtailing investment for the country and could catapult mining in Botswana. 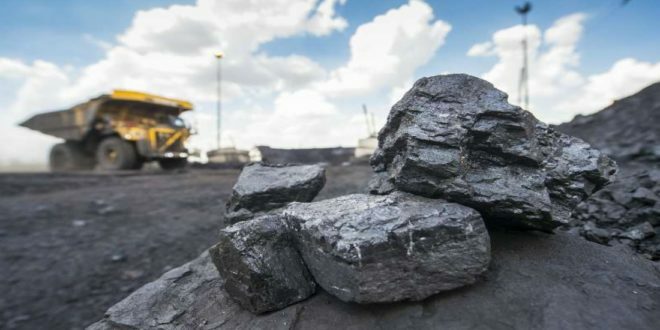 “International coal prices remain favourable, and that, coupled with the tight inland coal market in South Africa, will support prices as Botswana coal miners go into production. “We expect listed junior miners to start monetising their assets in the near-term and unlock value for shareholders in a sector that has a chequered history for local investors,” Tlhong said. Meanwhile Masama Coal Mine which is Botswana’s first privately owned coal mine is scheduled to produce its first profitable coal in March. According to reports in the media, the Minergy Chief Executive of the company overseeing the project, Andre Boje alleged that the mine aims to produce 1.2 million tonnes per annum of coal. It is targeting the South African market as well as other countries in the region whilst using a combination of road and rail transport. Boje further added that the mine operations should ramp up to the nameplate volume of 300,000 tonnes per month by June/July 2019. The open cast mine and associated coal wash plant is located 60 km (37 miles) northwest of Botswana’s capital Gaborone and is being developed at a cost of 400 million pula ($39 million). The Masama mine is estimated to hold 390 million tonnes of coal reserves. The Zambian Mining Magazine (ZMM) is a premier source of news on mining developments in Zambia's most important industry. We provide in-depth coverage of mining projects and the personalities reshaping the mining industry in the country. Subscribe to our email newsletter.